In November Global Beginnings was invited, by The Trade Commissioner of Flanders Investment and Trade, to attend a gathering at the residence of the Consul General with participants in a trade mission from Belgium. 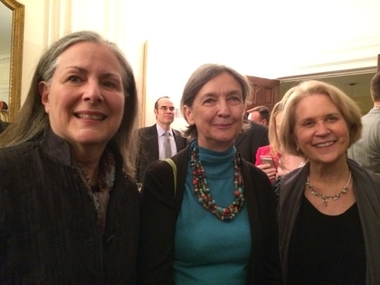 Clare Posnack (left) and Louise Connor (right) met with Ambassador Benedicte Frankinet (center). Global Beginnings attended Expoperu in New York.